Home - BacoNetworks - Happy Holidays! Happy Holidays from all of us at BacoNetworks! 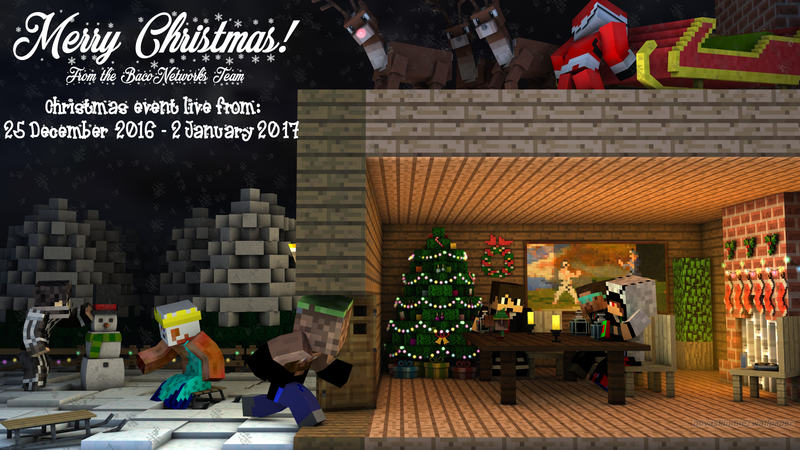 There will be a christmas event on the server hub from 25th of December till the 2nd of January! There will be prizes for the fastest players and a few prizes will be randomly given away to players that completed the event. Do not worry if you do not win, there will be prizes for everybody! Prizes will be given a few days after the event ends. To enter the event, log in on the hub and use /event to be teleported to the event! Keep on frying Bacon Brigade! Vote on each listing for awesome rewards, milestones, and 80 website points! BaconNetworks is a modded Minecraft server community that has experience in the modded server game for over three years.